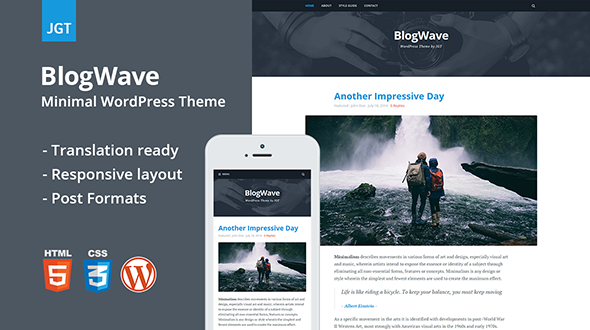 BlogWave is a single-column responsive and easy to use photoblog-style WordPress theme. It’s a perfect choice if you want to start photo, travel blog or just have a website to share your photos on-line. 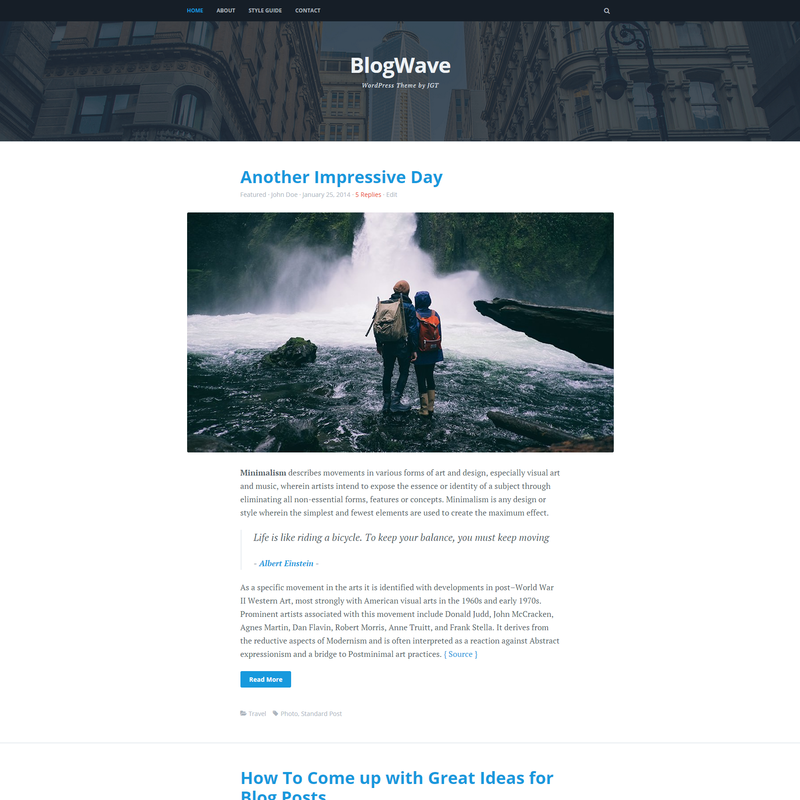 BlogWave supports all post formats, whether you’re embedding videos, music, quotes, links, or chat transcripts, we’ve taken care to ensure your content looks beautiful. BlogWave header area supports a widescreen custom header image and offers 3 default images, set to display randomly as visitors refresh your website. With JetPack plugin you will have many awesome features like infinite scroll, tiled gallery and more. This theme supports all post formats (aside, gallery, link, image, quote, status, video, audio, chat).